Everybody Loves The Track Suit Man! Track Suit Man is back! 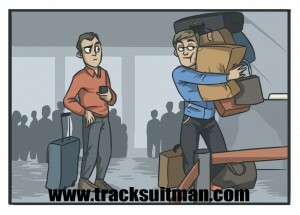 This is the story of the most selfish inconsiderate frequent flier, and it has FINALLY come to life in comic book form. If you haven’t been following the viral social media posts about this frequent flier now is the time to “jump on board”. He carries on too many bags, he pushes everyone out of the way. What will he do next? 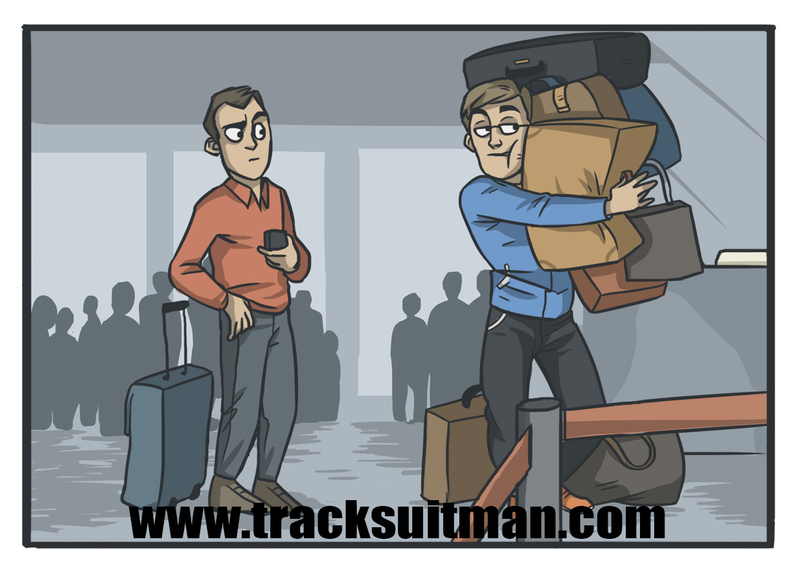 Follow The Adventures of Track Suit Man comic and stay tuned to this website for more exciting TSM News.